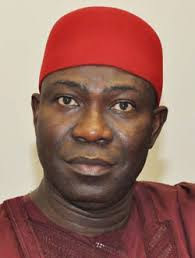 The Office of the Deputy President of the Senate, Senator Ike Ekweremadu, has dismissed as false, insinuations and reports that the Senator could be on his way to the ruling All Progressives Congress, APC, to save his job. In a statement made available to reporters in Abuja, the Special Assistant (Political Matters) to the Deputy President of the Senate on Political Affairs, Hon. Okey Ozoani, described the reports as “a fantasy of those peddling it”. He assured the Peoples Democratic Party, PDP, faithful and Nigerians that “Ekweremadu is going nowhere”. He said: “Senator Ekweremadu is not contemplating leaving PDP. He is more concerned about fixing the country’s biting economic and security conditions and other challenges than saving his job as the Deputy President of the Senate. “It is his view that Nigeria has to first exist for us to have political parties to belong to or political offices to occupy.&nbsp;&nbsp;Studies have shown a direct relationship between economic conditions and survival of democracy. “The primary responsibility our Constitution places on our government is to cater to the wellbeing of the citizens as well as security of their lives and property. When such are threatened, everyone should necessarily get serious and preoccupied with contributing his or her quota to salvaging the country. “Besides, he is most grateful to his colleagues for the confidence they continue to repose in him and the Senate President, Senator Bukola Saraki. He is grateful for the solidarity that the Senators have continued to accord them”. Hon. Ozoani, while appreciating Ekweremadu’s supporters and well meaning Nigerians who have continued to contact the Office over recent media reports, assured them that there was no cause for alarm. He urged them to continue to pray for the Senate leadership, the Senate, the National Assembly, and indeed the government and the entire nation. “By strength alone shall no man prevail. Therefore, let us get down on our knees and continue to present the government and the country before God”, Ozoani added.